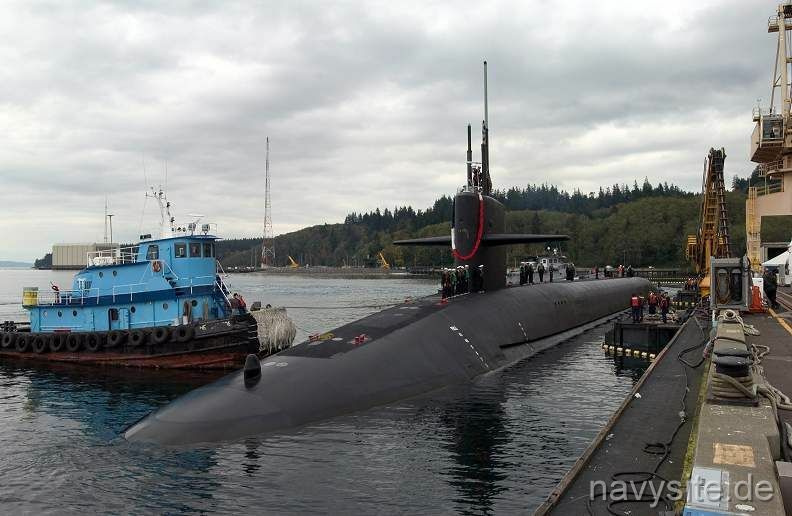 USS NEBRASKA is the 14th ship in the OHIO class and the third U.S. Naval ship to be named in honor of the 37th state of the Union. This section contains the names of sailors who served aboard USS NEBRASKA. It is no official listing but contains the names of sailors who submitted their information. 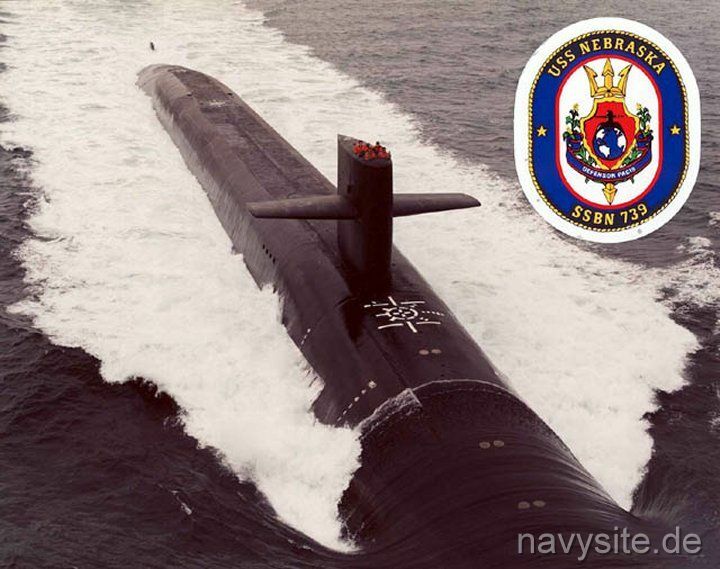 Click here to see which USS NEBRASKA memorabilia are currently for sale on ebay. Notes of Interest: Although there are approx. 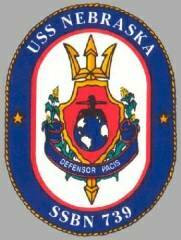 150 sailors aboard USS NEBRASKA, there are only two washing machines aboard. 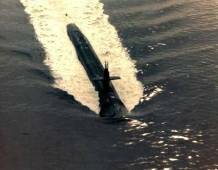 September 20, 2008 off Oahu, Hi. 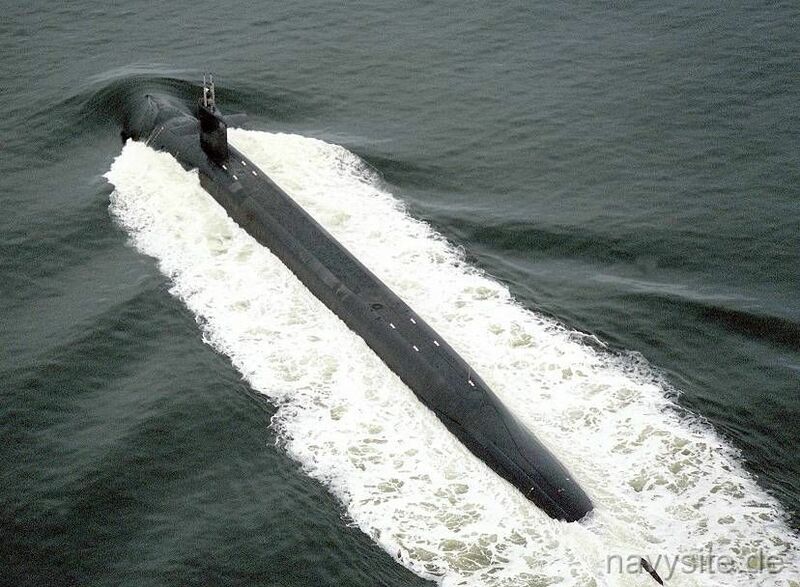 A sailor is mortally injured in an accident while the NEBRASKA is operating submerged. 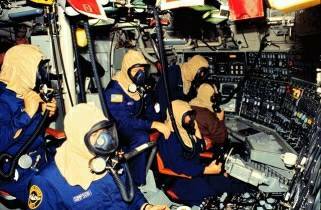 The petty officer tried to clean spaces in the submarine's aft auxiliary area. 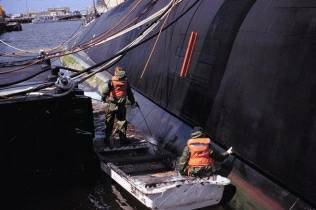 He went beyond posted warning signs and worked in dangerous proximity to moving components of the rudder ram. 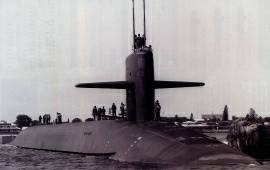 As the NEBRASKA commenced a left turn, the sailor was entangled and pinned in the rudder ram suffering traumatic injuries to his pelvis. 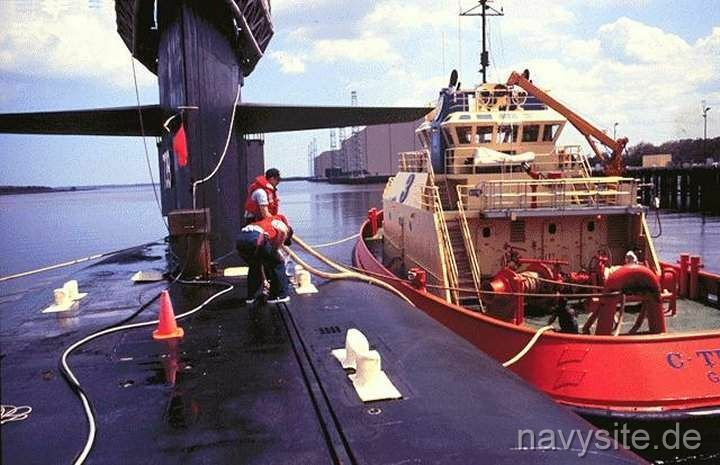 Emergency medical treatment was initiated immediately and the sailor was medevaced from the submarine, however, he died before reaching the hospital on board a Coast Guard helicopter.